Comfortable room with double bed and lovely big pillows. The room has a 40" flat screen TV, desk, minibar, iron, tea & coffee making facilities and hair dryer. Comfortable room with two single beds and lovely big pillows. The room has a 40" flat screen TV, desk, minibar, iron, tea & coffee making facilities and hair dryer. Comfortable superior double room with lovely big pillows. The room has a 40" flat screen TV, desk, minibar, iron, tea & coffee making facilities The bathrooms have shampoo, conditioner, shower gel, body lotion and a hair dryer. Cosy deluxe double rooms with double bed and lovely big pillows. 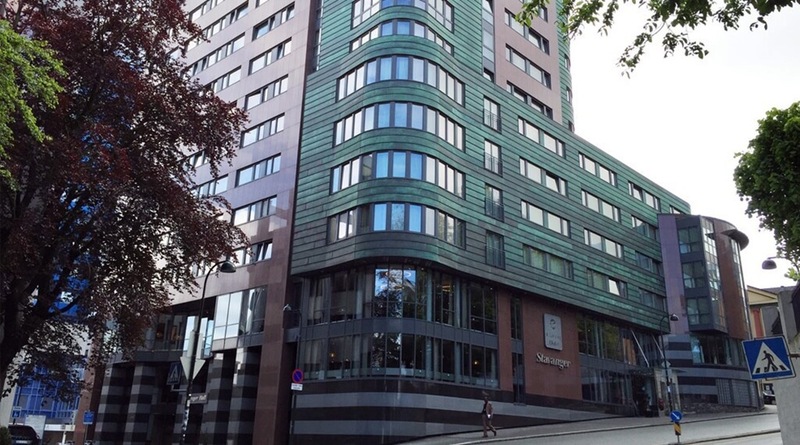 Deluxe rooms are available on all floors, and the rooms on the top floor have a fantastic view of Stavanger. The rooms have a 40" flat screen TV, a desk, minibar, seating area, bathrobe and slippers, coffee maker, iron and tea & coffee making facilities. The bathroom has shampoo, conditioner, shower gel, body lotion and a hair dryer. We have suites on all floors. The upper suites offer panoramic views of Stavanger, some with floor-to-ceiling windows that offer a spectacular view. All suites have a 40" flat screen TV, double bed with large pillows, bathrobe and slippers, seating area, desk, coffee maker, minibar and tea & coffee making facilities. The bathroom has shampoo, conditioner, shower gel, body lotion and a hair dryer. Family rooms are equipped with a double bed, up to two extra beds, large hotel pillows, desk, minibar, iron and coffee maker. The bathroom has a hair dryer, shampoo, conditioner, shower gel and body lotion.